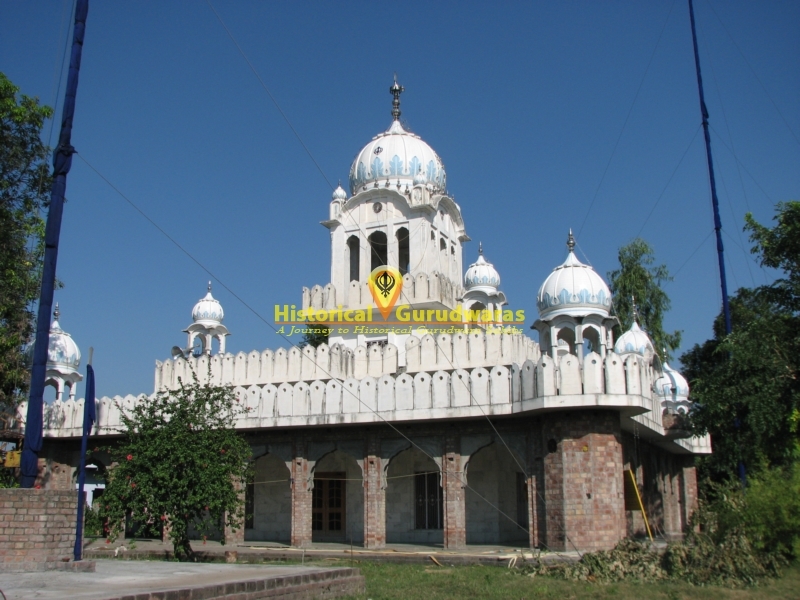 GURUDWARA SHRI HARIAAN VELLAN SAHIB is situated in the Village Bajrour in Distt Hoshiarpur. 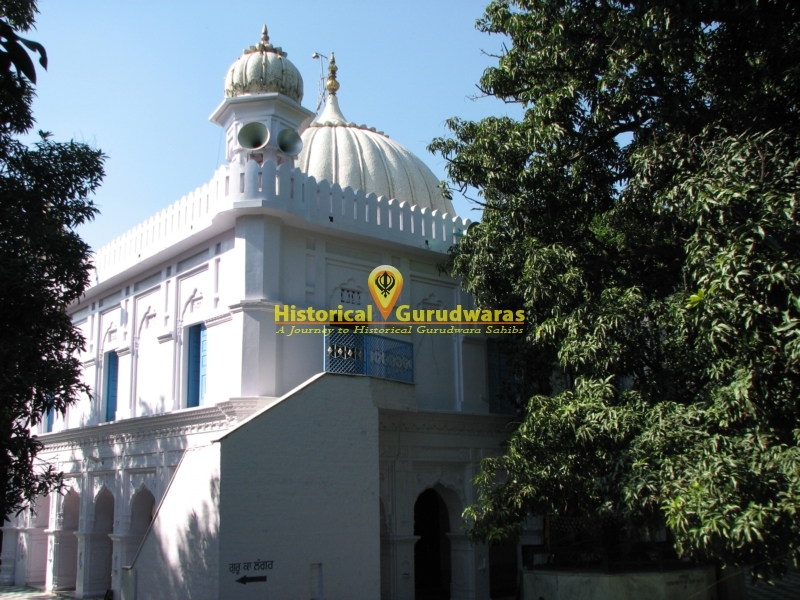 GURUDWARA SAHIB is that holy place where Satguru SHRI GURU HAR RAI SAHIB JI came from SHRI KIRATPUR SAHIB, along with 2200 men army with horses in the year 1651 A.D. Samat 1708 Bikrami & blessed this place with his presence. 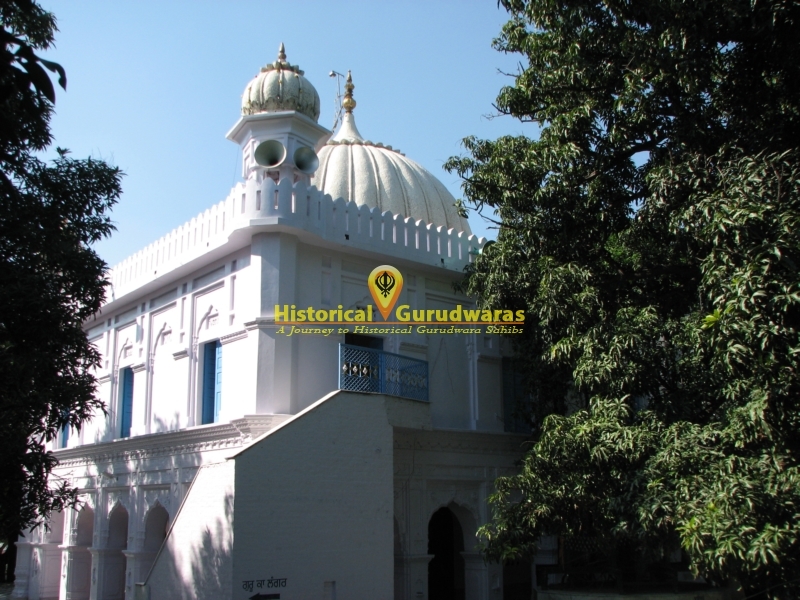 GURU SAHIB stayed at this place for 3 days. 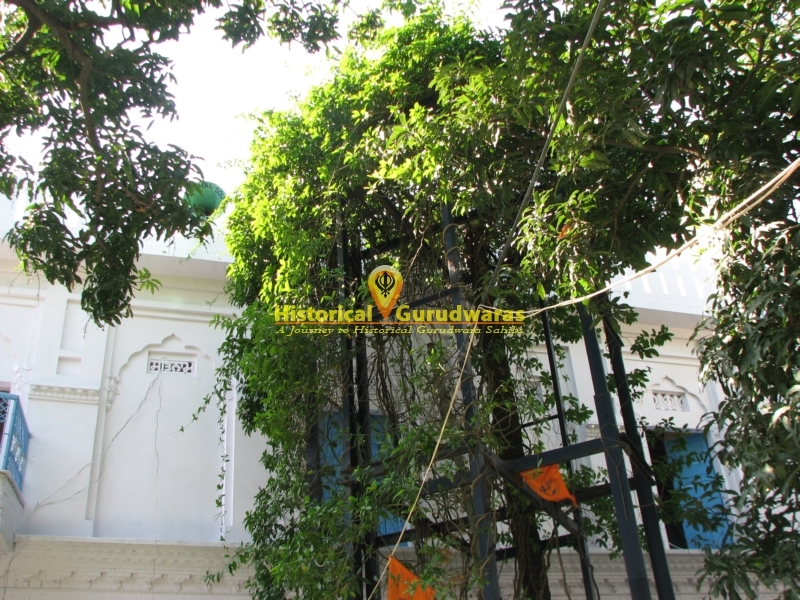 On getting immense affection from Baba Prajapati Ji, GURU SAHIB blessed his home with his presence. 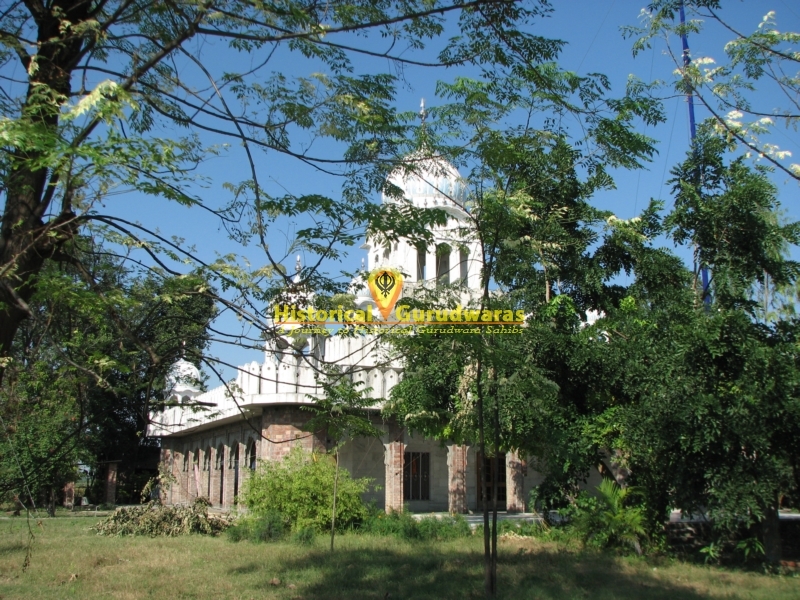 The place where this GURUDWARA SAHIB is built was the house of Baba Prajapati Ji. On hearing the news that GURU SAHIB had come, the followers got together & immense blessings & the tunes of shabads of Noori Jyoti lightened up the dark world. 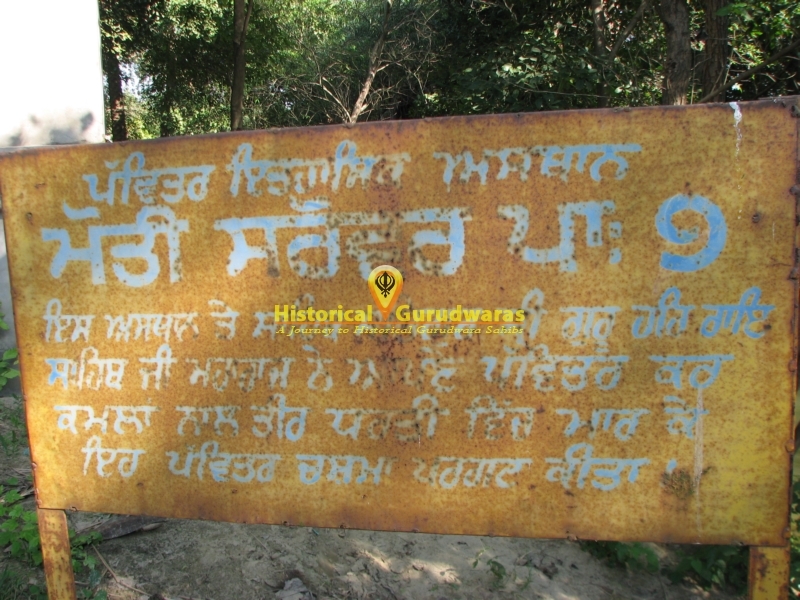 GURU SAHIB used to hold religious Diwans two times a day, in the morning & evening & gave the Sikh followers preaching about Naam Baani. 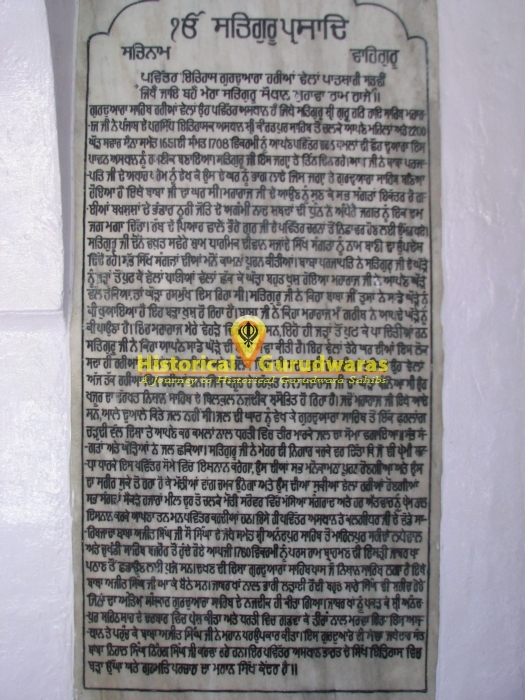 GURU SAHIB fulfilled the desires of all the Sikh followers. 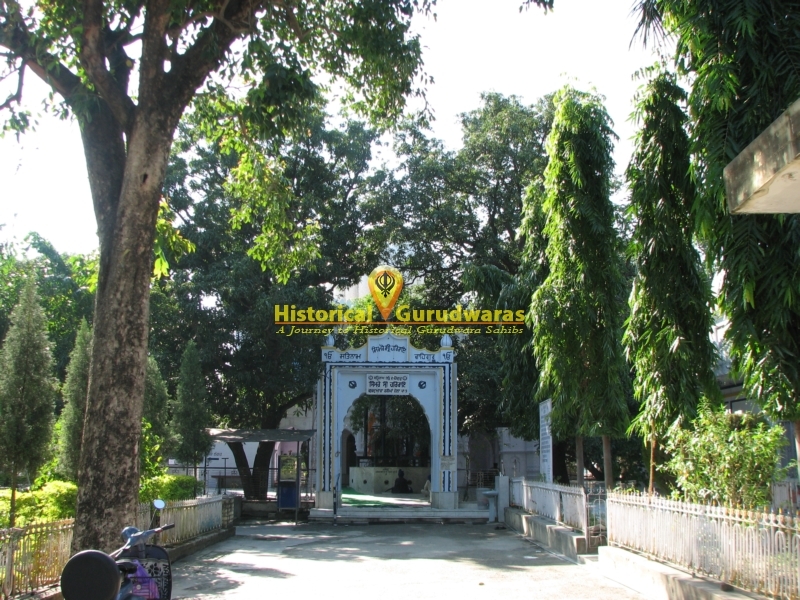 Baba Prajapati Ji dug roots of some creeping plants & offered it to GURU SAHIB’s horse. GURU SAHIB looked towards his horse & the horse seemed happy. GURU SAHIB asked Baba Ji that what had he given the horse to eat as it seemed very happy. Baba Ji replied that what a poor person like me can give your horse to eat. He said that there were some creeping plants in my front yard so I dug their roots & gave the horse to eat. 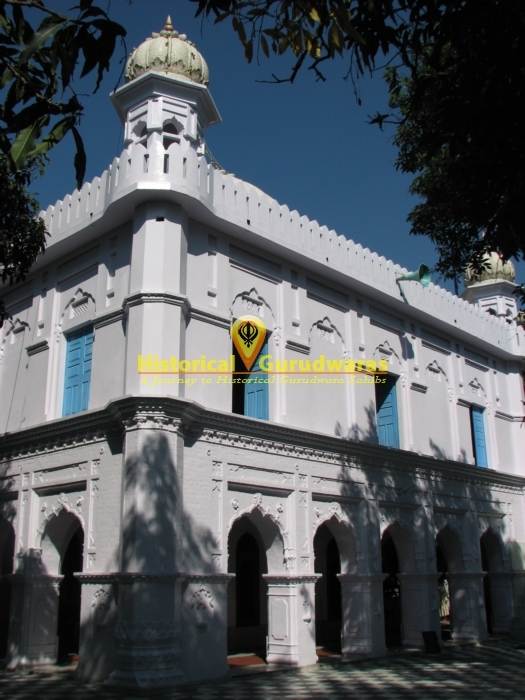 GURU SAHIB said that you have taken well care of my horse. 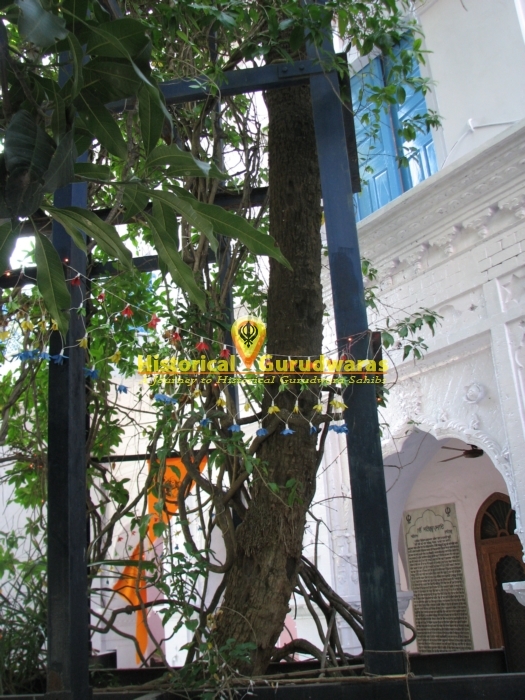 GURU SAHIB said that these creeping plants would always remain green & so the plants are still green till today. 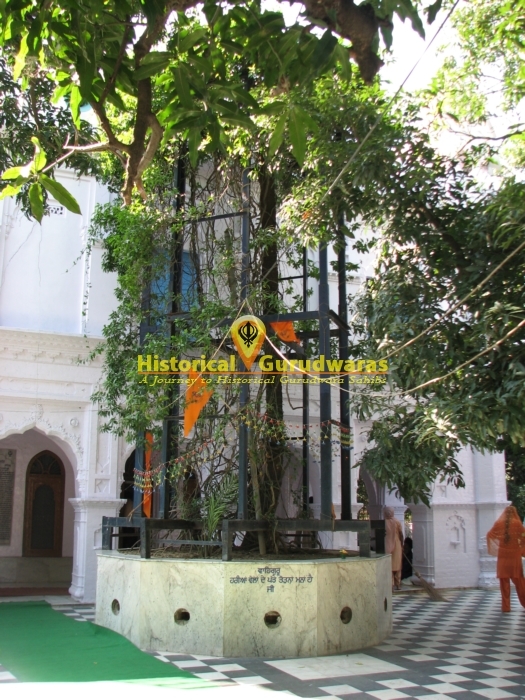 The date palm tree, to which GURU SAHIB’s horse was tied to, exists next to Nishan Sahib. 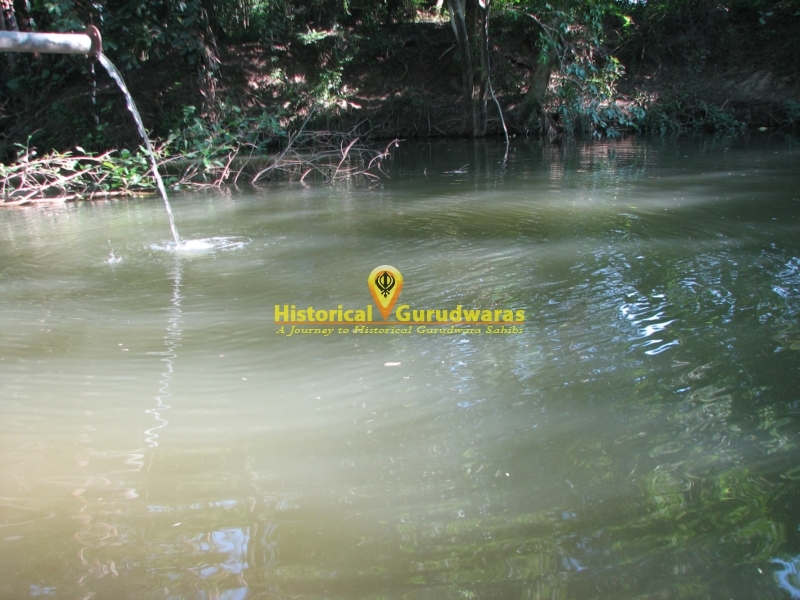 When GURU SAHIB came to this place, there was no water nearby. 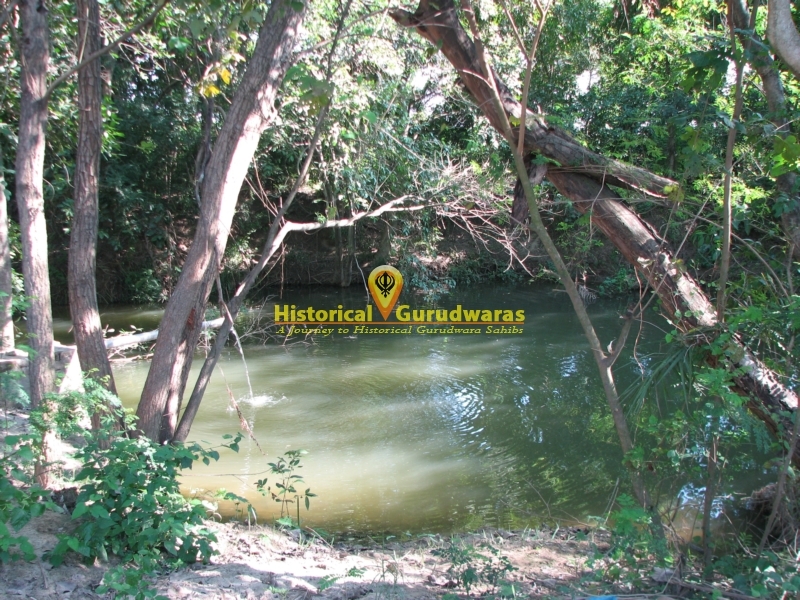 Noticing the water shortage, GURU SAHIB hit an arrow on the ground, a few yards away from the Gurudwara Sahib towards east direction, & a spring of water came out. All the followers & horses drank water from there. 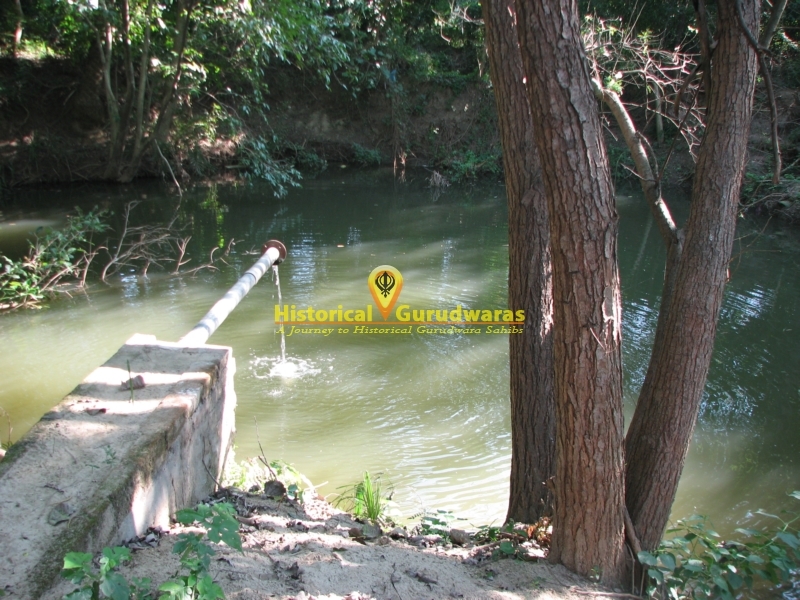 GURU SAHIB gave a boon that whoever takes a bath under this holy spring with faith, all his desires would be fulfilled & his body would re-emerge like a pearl. 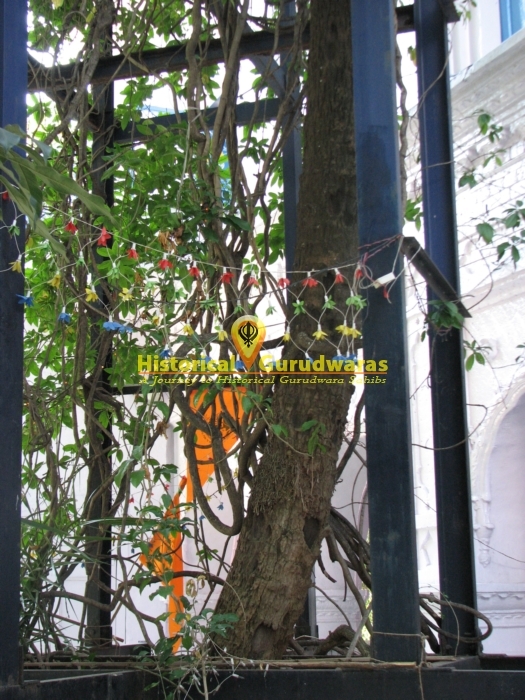 People from far off places come to Moti Sarovar on Maseya/Sangrand & every Sunday to take bath & purify there body & soul. 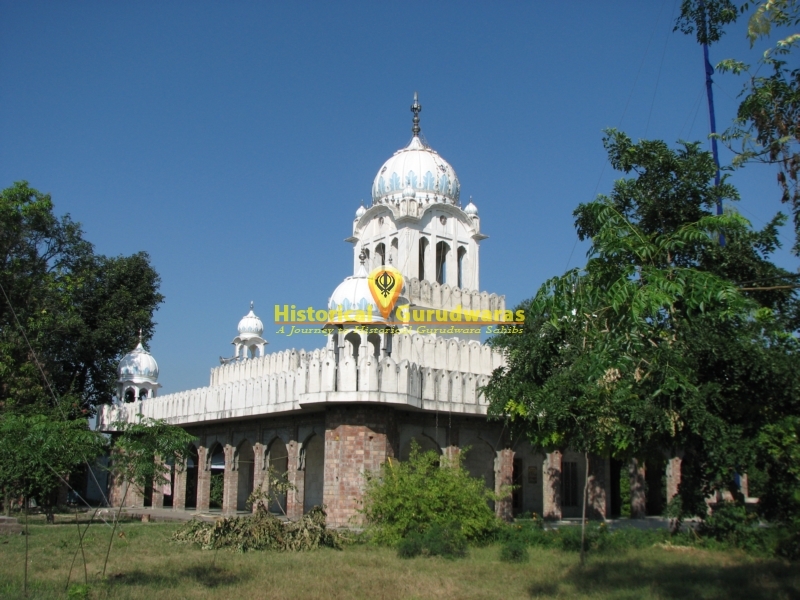 At this holy place, SHRI GURU GOBIND SINGH JI’s elder Sahibzada, Baba Ajit Singh Ji came with 200 Singhs while going from SHRI ANANDPUR SAHIB to Mahilpur Shaheedan Ladhewal & Chakhundi Sahib Bajraur. He came to rescue Paras Ram Brahmin’s wife from Jaabar Khan pathaan. 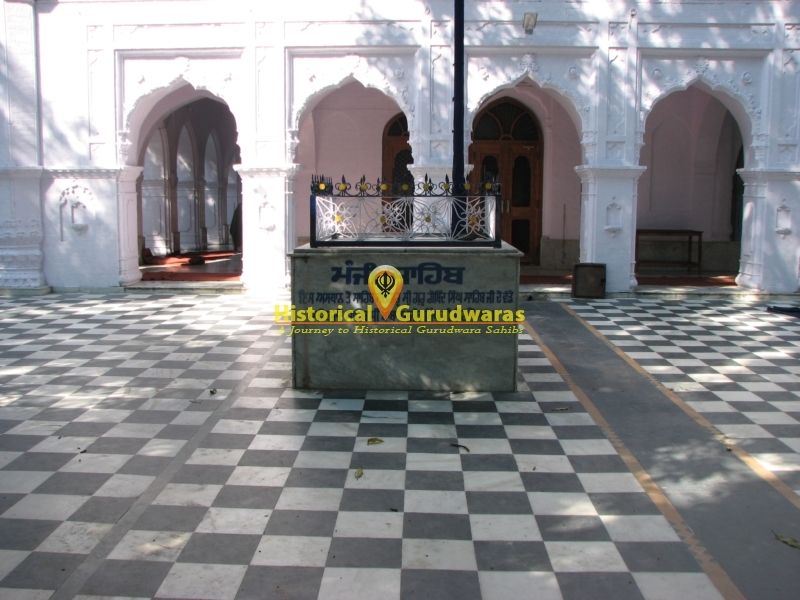 Towards the north direction of Gurudwara Sahib where Nishan Sahib exists, Baba Ajit Singh Ji came & sat here. 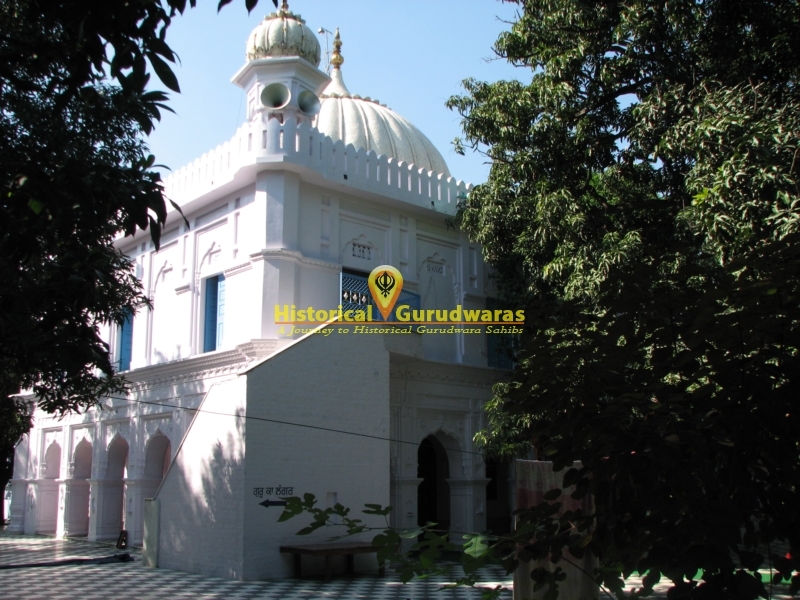 A fierce battle took place with Jaabar Khan & large number of Singh’s got martyred too whose last rites were performed close to Gurudwara Sahib. 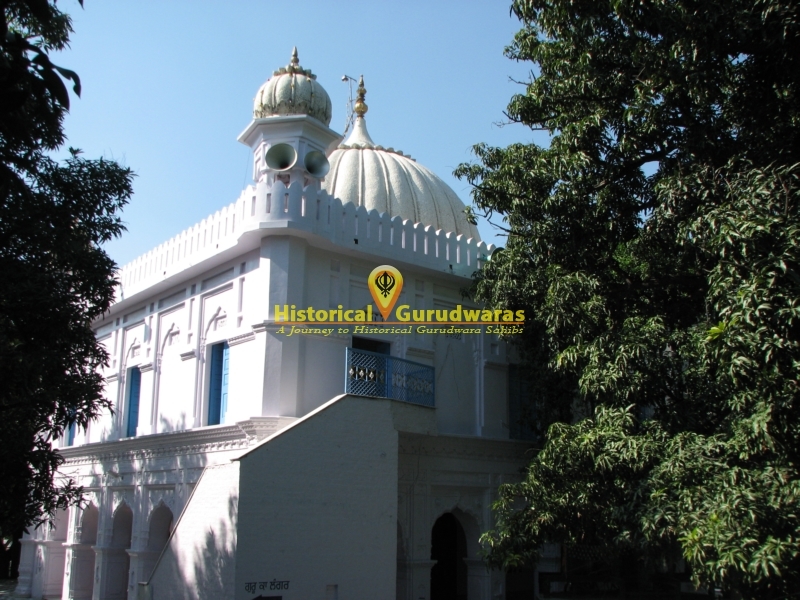 Jaabar Khan was held & taken to SHRI ANANDPUR SAHIB where he was produced in Shahenshah’s court & then he was burrowed & then killed with arrows. 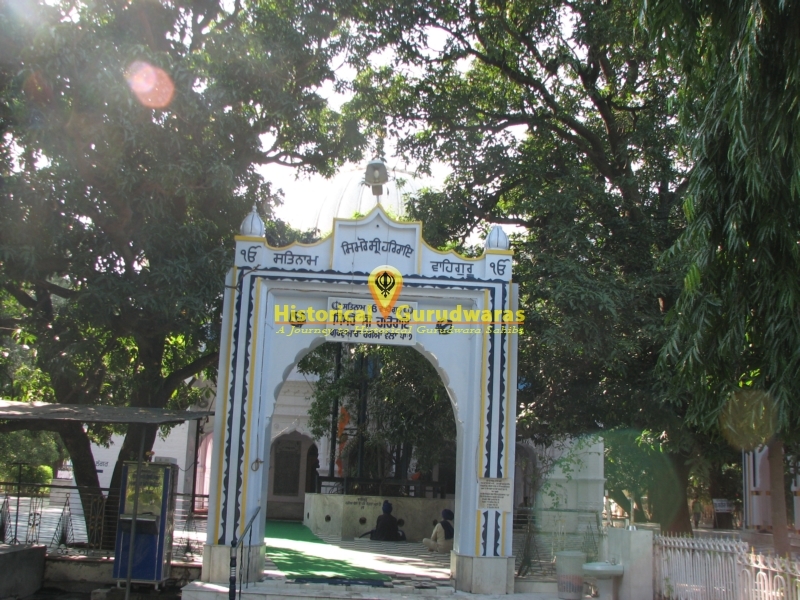 Baba Ajit Ji was generous to come to this place.